Fire Safety Constructions was selected by Hosking and Munro Architects to upgrade fire safety measures and general building works for Ilchester Office Suites. 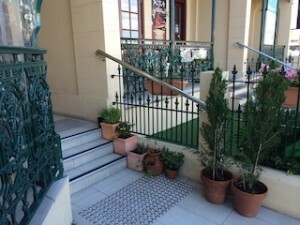 The works valued at $70,000 will achieve the fire safety requirements of Manly Council to allow the building to achieve a Final Occupancy Certificate. Located at 46-48 East Esplanade, Manly the building holds cultural significance for locals. 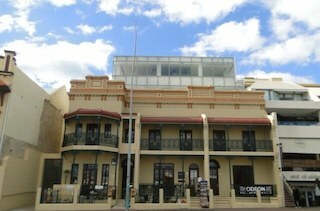 The original building is a parapeted two storey row of three terraces constructed largely of sandstock brick and is a rare example of Victorian Boom style architecture of the late 19th Century. Fire Safety Constructions were selected to carry out upgrade works based on their past experience with fire safety upgrades in other heritage sensitive buildings – BMA House, Marlborough Hall, Birtley Towers & Harley. Scope included handrail upgrades, installation of smoke seals to existing new fire doors, fire sealing penetration, upgrading tenancy electrical cupboards, testing and certification of existing detection, occupant warning system and installation of fire extinguishers. 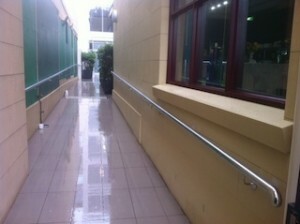 Fire safety upgrades require balustrade and handrails to comply to D2.16 and D2.17 of the BCA. 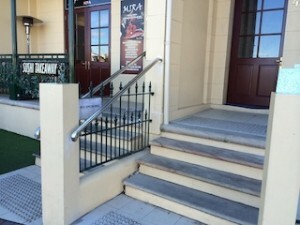 Fire Safety Constructions specialises in modification and replacement of balustrades and handrails. 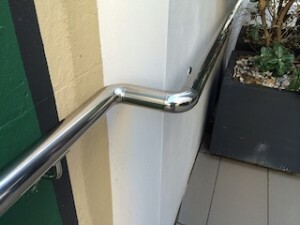 Part of the scope was to install hand rails compliant to D2.17 of the BCA. Located moments walk from Manly Wharf the building houses a mix of restaurant and commercial offices over 5 floors, with commanding views over Manly Cove. The attractive location of the building demands high end finishes and workmanship. A marine grade 316 stainless steel handrail system was supplied and installed by the Fire Safety Constructions’ team. The chosen system will maintain its sophisticated look for years to come. 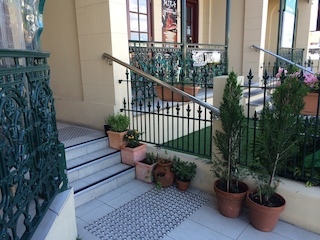 Ilchester office suites is just one of many balustrade and handrail upgrades in the North Shore and Northern Beaches of Sydney carried out by our team – 25 Tor Road, Stevendale & 24-25 Fielding Street. For more information on Ilchester’s historical significance click here.